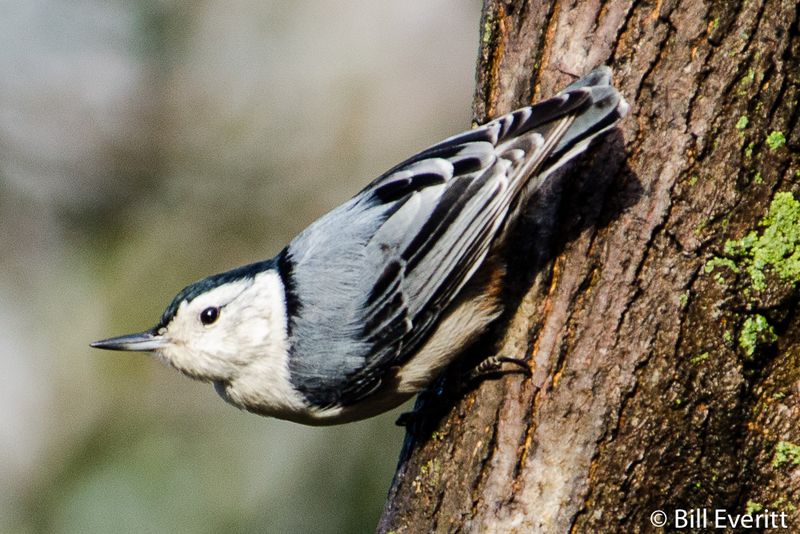 If you see a very small blue-grey bird with a light-colored under belly moving head first down the trunk of a tree, it’s probably a White-breasted Nuthatch. It’s a stocky bird, with a large head, short tail, powerful bill, and strong feet. The upper parts are pale blue-gray, and the face and under parts are white. It has a black cap and a chestnut lower belly. 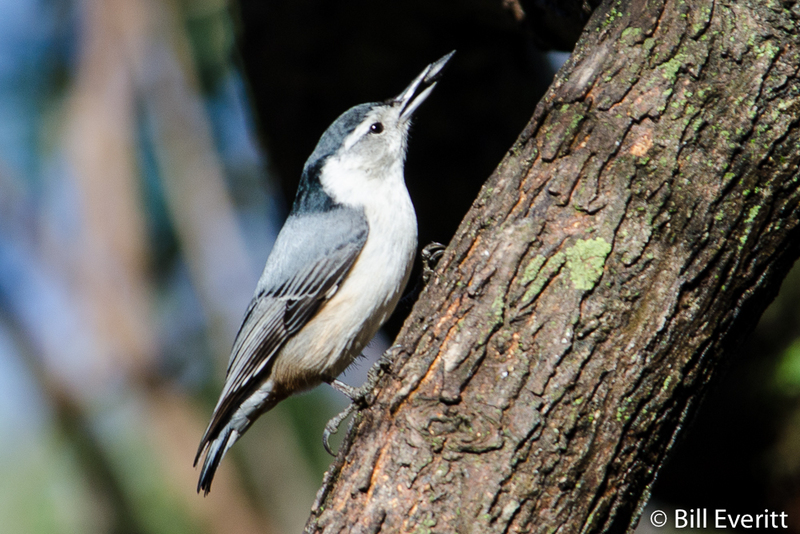 The nuthatches are a genus, Sitta, of small passerine birds which derive their English name from the propensity of some species to wedge large insects or seeds into cracks, and then hack at them with their strong bills. 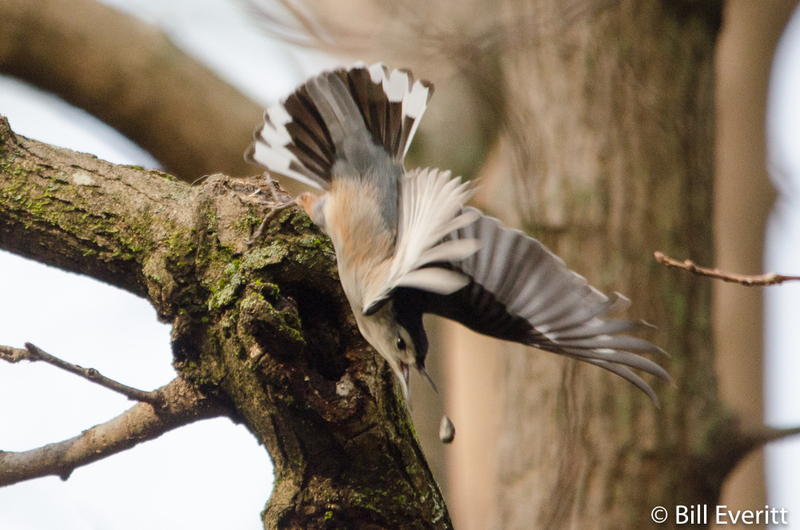 Nuthatch may have morphed from “Nut Hack”. Seeds form a substantial part of its winter diet, as do acorns and hickory nuts that were stored by the bird in the fall. The nest is in a hole in a tree, and the breeding pair may smear insects around the entrance as a deterrent to squirrels. White-breasted Nuthatches are full time residents here.